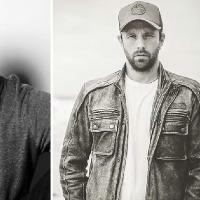 Gallus Promotions is proud to bring you Jason Manns and Paul Carella at the Hare & Hounds on Wednesday February 20th. Gallus Promotions is proud to bring you Jason Manns and Paul Carella on their first ever joint tour of the UK. Jason is a successful singer, songwriter and producer and Paul is an award winning Americana artist. Combined they have 12 studio albums, music that has been featured in hit TV shows such as Supernatural and Parks and Recreation, 5 industry awards and had multiple albums chart on the Billboard Top Albums Chart at #66, the Billboard Folk Chart at #14, and Billboards Heatseekers Chart at #2 as well as a #1 hit on ITunes Chart.